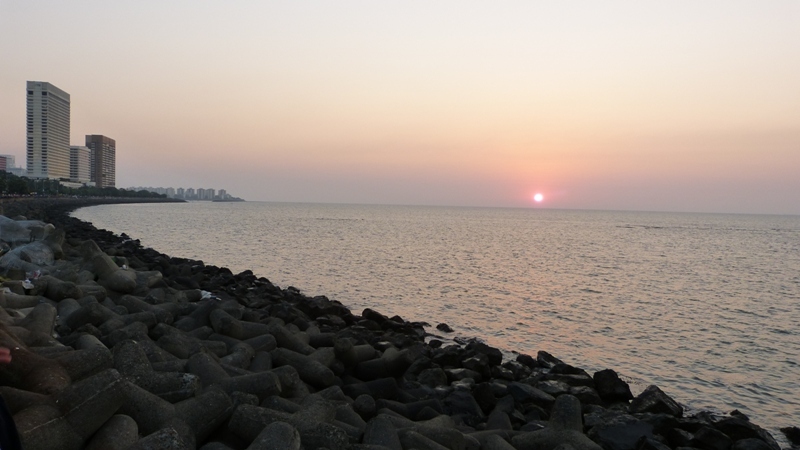 Why Marine Drive is the Best Place to be in Mumbai? Being a local Bombay boy, I have always been passionate about the places that you find here in the city and the small by-lanes and small shops that thrive in the heart of the city. I also believe that Bombay was far better than Mumbai because the city did offer you with the kind of options that make you feel special. I will certainly write one more blog on that where I will try and compare Bombay Vs Mumbai and how people can see the difference that only locals can understand. I certainly believe that change is constant and that I cannot do anything about it, but change my perception and go with the tide of time. However, luckily there are certain things that haven’t changed much and that is Marine Drive. Every time I take a pause to think, I go back years ago when I was just 7 or 8 years old and when I used to visit Marine Drive with my mother most of the times as it was just short distance from my residence. As a kid I was always fascinated to be around Marine Drive as I believe it was the best place to be in a city that was all about trade and commerce. 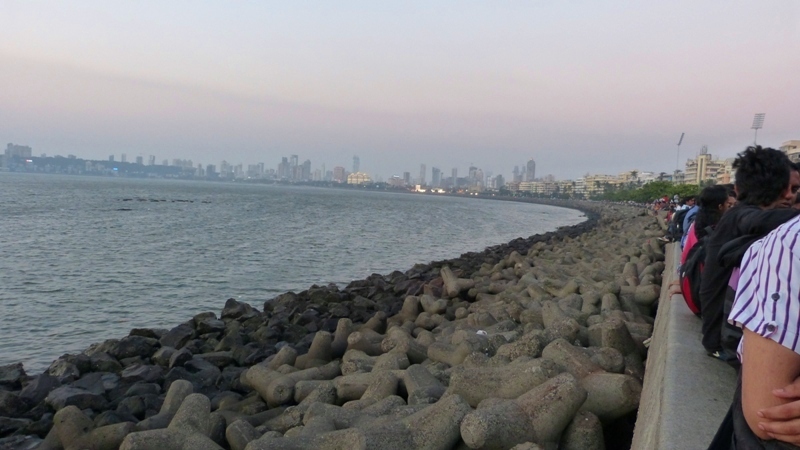 Marine Drive is basically a 4.3 kilometer C shape boulevard that starts off from Babulnath Road on one side which is almost Grant Road area and ends at NCPA on the other. While I have spent many happy days here coming to Marine Drive with my mother spending weekend evenings, I also recollect times when I used to come here without her after she passed away. I was 15 then, alone, completely crushed down by the hardships that came upon me and angry with God on things that I was experiencing. It sounds unbelievable, but every time I came here I went back home with answers that helped me grow, not only in terms of how I can improve my life but also mentally. So, what makes Marine Drive so special you might ask? To answer that, I will say you have to come here to believe it. It’s like the famous Taj Mahal, I can tell you all about the Taj Mahal and even click the best pictures of it that you have ever seen in your life, but you still cannot feel it because you haven’t been here yet. This place is not just a boulevard where you come and enjoy the sea breeze; it’s a lot more than that. You will find bundle of emotions here like desires, romance, fantasies, happiness, sorrow, freedom, inspiration and even tranquility. In the morning, Marine Drive transforms itself into a giant health club and you will find people from all walks of life come down here with their sports shoes on walking, jogging and running around either with their partners or listening to their music on MP3 players. Senior citizens enjoy their time of life here with their friends and colleagues and when you see them you feel a feeling of camaraderie all around. You also find hawkers selling hot tea and coffee and even fresh coconut water. As the sun climbs up the sky from behind the buildings we find these people going back to their homes and suddenly the number of cars on the road increases which eventually leads to lot of traffic noise. Towards afternoon, you will find less number of people here and that is mainly because of the heat factor. The sun is at the zenith so people usually avoid being here at these hours, but you will still find college kids hanging around especially those who have colleges in South Mumbai. Evening is the best time to be here at Marine Drive and you will find thousands of people here every single day watching the sun go down the horizon. You can find couples hugging and romancing each other while you will find some discussing seriously about some turmoil in their life. You will even find some friends chattering and having a good time, clicking pictures through their smartphones trying to capture the essence of the moment. Interestingly, you will also find some people sitting solo talking to the sea, contemplating and finding answers and purpose to their life. You will also find many corporate executives and employees coming down here at the end of the day taking some time from their hectic life and enjoying the cool breeze trying to hold on to their sanity so that they can go back home, relax and continue with what life has to offer. Additionally, in the evening you get to see why Marine Drive is also called Queen’s Necklace as the street lights turn on and looks like a huge C shape necklace, but I like what my wife just said to me that the real diamonds in that necklace are the people of the city that come here every day and without them Marine Drive would not be as magical as it is. 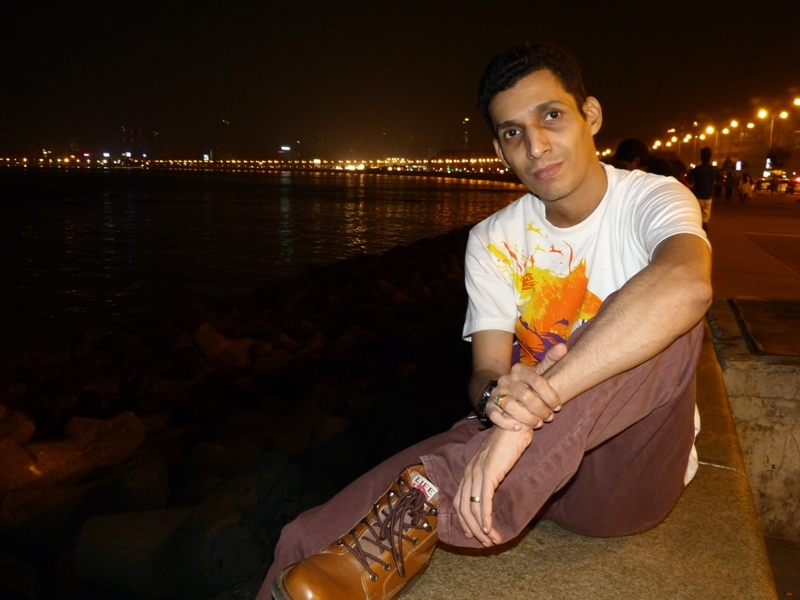 Marine Drive is different things to different people, a weekend destination, romantic hotspot, meeting point and so on. 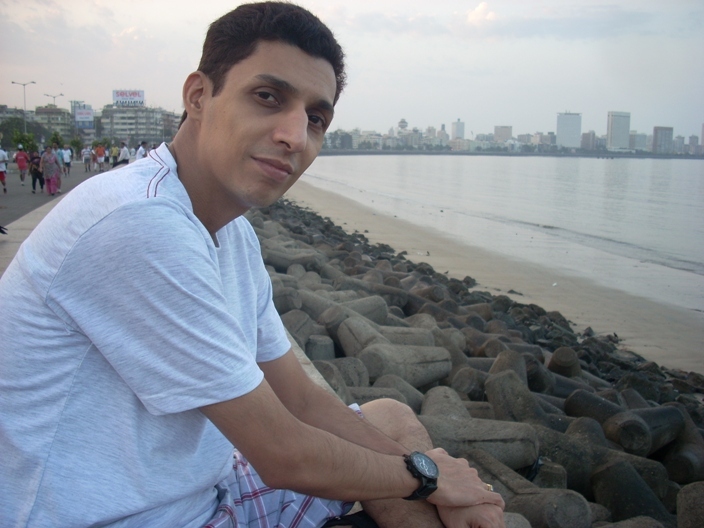 To me, Marine Drive is a part of me, an extension of my soul and my life. It provided me happiness when I was a kid, it consoled me and helped me walk through tough times when I was alone, it gave me answers and strength when I wanted to do things but did not had the courage to do so. I also wrote my first poetry here at Marine Drive back in 1998 so it also ignited the creative person in me that I never knew completely. I believe Marine Drive is the best place to be if you are in Mumbai because there is something magical about this place that is hard to explain in words. Which Indian Honeymoon Destinations Are Best for Winter? It might be hard to explain, but you wouldn’t know it from reading this post. This was an excellent description of a special (and clearly special to you) place. Good job! Thanks Dan. I never really shared this with the world before. 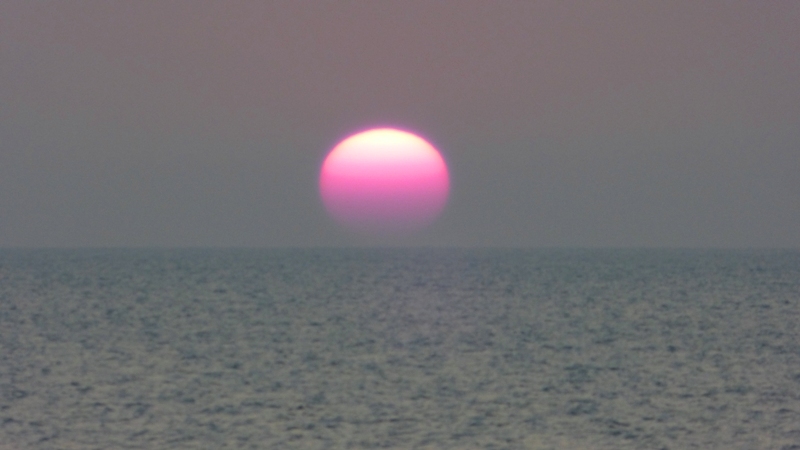 However, I decided to put this up on the blog because Marine Drive is a great place to be. I wanted to write only about the place but could not help from writing my true feelings for it. I miss my mother every time I go here, I have spent countless evenings for 16 years here sitting alone after she passed away in 1995 contemplating why life treated me so cruel, but I love this place because I have always gone back home happy and with some great positive thoughts. I agree with him. I have been living in Mumbai for many years and loved how it was described. I have been doing some research on the place, and I came across a post that said that its actually called Sonapur! is that true? Never heard that Marine Drive is also called Sonapur. That’s not true. What a lousy name to describe this beautiful promenade. Cool photos. I like the shore and those bike men chilling under the tree on the drive. Thanks buddy 🙂 Those people might not even know their picture is on the web. This brought back so many memories of the evenings I spent on marine Drive. It is all things you say, and more, and you imply the untold so well. Thank you for a wonderful comment. 🙂 I am happy that you felt nostalgic about your experience at this place. How fortunate you are to have such a special place to go to. It reminds me of someplace similar in my city — the Stanley Park seawall. What a marvelous place to have to return to for comfort and rejuvenation. Beautiful description! 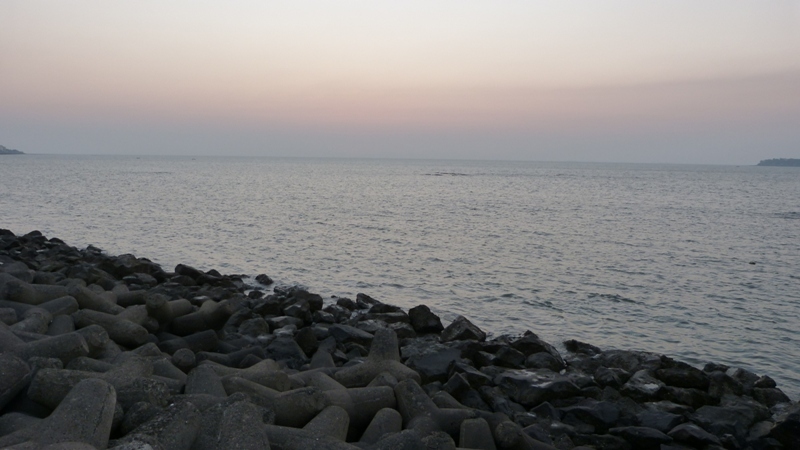 The spaciousness of sea and the cool evening winds of sunset always speak to a calling heart at Marine Drive. Thank you, Arindam. Marine Drive is a special place to me with so many memories. 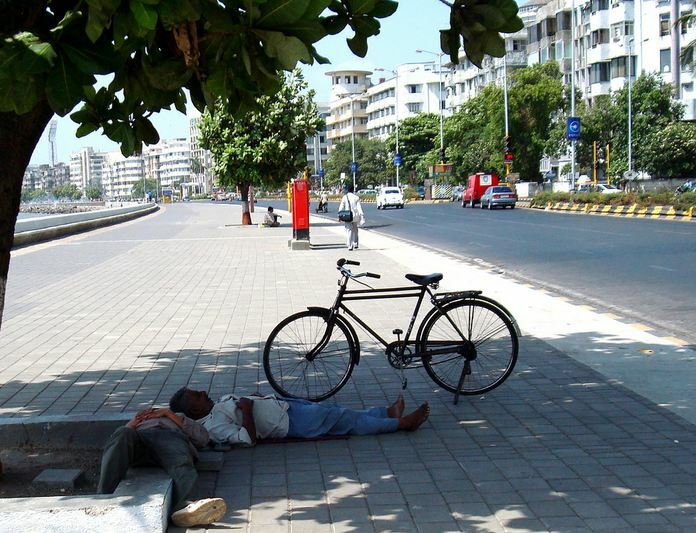 Have you ever visit Marine Drive?